Compulsory Voting: Better for Politics or Better for Populists? 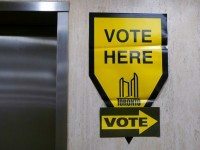 How mandatory voting could change elections in Toronto. An analysis of the 2014 election results suggests it would be in his own best interests—and in the best interests of voters.